The PowerMax 1260 provides high power, state of the art technology, system reliability, and low maintenance all in a small footprint, lightweight package. The model PowerMax 1260 was designed with agility in mind. Its compact, lightweight construction makes it easy for the operator to move the system effortlessly. Delivering maxium mR/mAs, the PowerMax 1260 produces 3kW of power across the entire kV range. 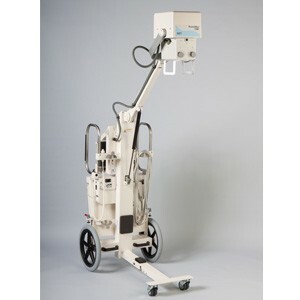 With its constant 3kW output, the PowerMax 1260 provides hospital quality imaging and offers an easy upgrade path for clinical sites transititioning to Digital Imaging. 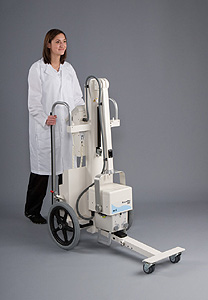 The PowerMax 1260 provides the power required to compensate for the slower operating speeds of CR Systems, and is the ideal High Power portable x-ray system for organizations considering the purchase of CR Systems. 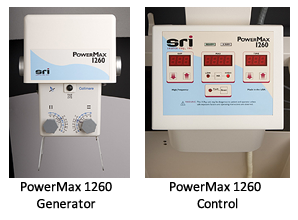 The PowerMax 1260 is suitable for use in Hospitals, Urgent Care Facilities, Medical Examiner Offices, Nursing Homes, Home Healthcare, Orthopedic Practices, Sports Medicine, Correctional Facilities, and Military Field Deployable Applications.